Our house is about 100 years old and we’ve had some interesting restoration projects going on here from time to time! Glad you like my choices of wood. I always say that the tree does the hard part! 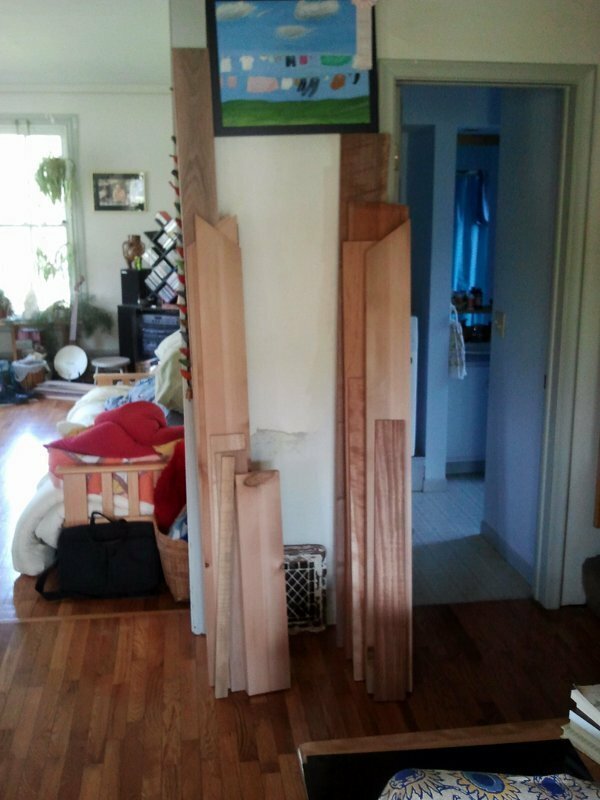 It reminds me when we were finishing the baseboard, window, and door trim. Baseboard was 7 inches plus in height. Each piece had three coats of stain and three coats of a sealer. The house was built in 1900. I know it is not quite the same as making dulcimers but I know the feeling. Your wood choice are beautiful. Bernd Krause: My wife is very understanding about all this too. Actually, I think she likes it! looks like my house. spruce here, walnut there. bubinga in another stack. luckily my family is understanding . kids grew up with wood and dulcimers, finished and partially done everywhere. And of course wood chips and shavings throughout. Joyce Jados: Thanks for the kind words! 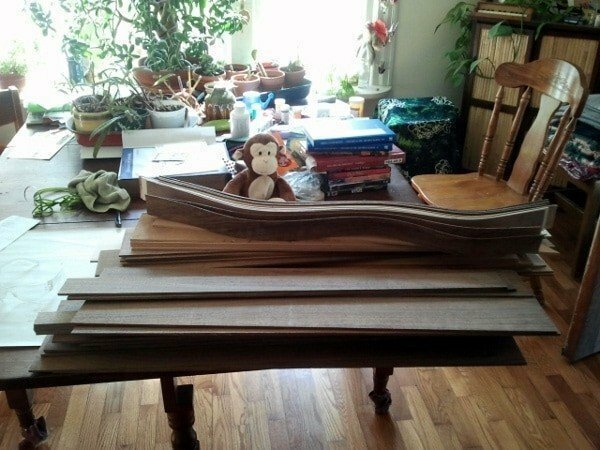 The dulcimer in the header on my site was made with a very colorful piece of walnut. I just started making another from the same baord. Is that redwood in the pic on your site? I love that dulcimer! Thanks, Tim. I think there is walnut, cherry, maple and some mahogany in that pile.